The Convention on International Trade in Endangered Species of Wild Fauna and Flora, known by its acronym CITES or the Washington Convention, is an international agreement between states. Its purpose is to ensure that international trade in specimens of wild animals and plants does not threaten the survival of the species to which they belong. 182 countries make up the Cites. The ATIBT (Benoit Jobbé-Duval, Director, and Nicolas Bayol, President of the ATIBT Forest Industry Commission) met with the Cites team in charge of plants, as well as Mr Tom De Meulenaer, Head of Scientific Services from the Cites. The ATIBT team was presented to Mrs. Ivonne Higuero, Secretary-General of Cites. 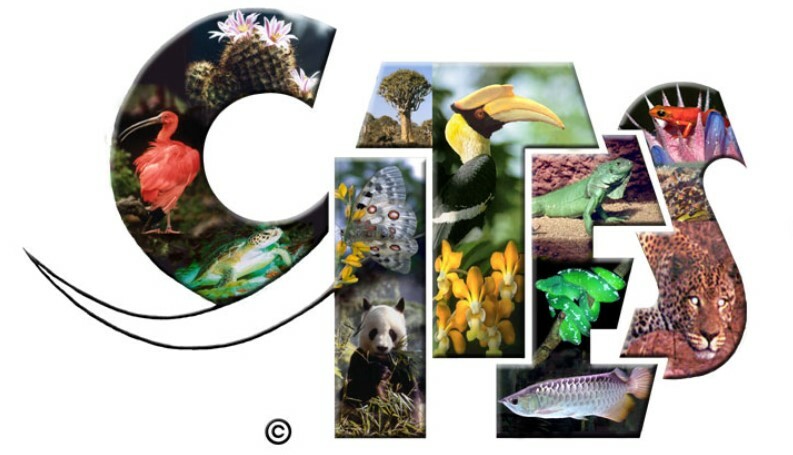 ATIBT aimed to raise awareness of CITES and to inform it of its work and possible future contributions from CITES. The Cites team thanked ATIBT for its presence, and expressed its satisfaction for this meeting. It was pointed out that ATIBT and its members have a great knowledge of the Congo Basin tree species populations through the forest inventories carried out, but also through the Dynaffor-P3FAC projects, and that this knowledge needs to be shared as much as possible with Cites. It is therefore necessary to get involved and be in the existing working groups, and in particular the Plants Committee. This visit was also intended to better understand CITES rules and procedures. Indeed, the decision processes of the Cites are complex. 36,000 species listed in Appendix 2, but only 1000 endangered, listed in Appendix 1. The inclusion in Appendix 2 does not mean that there is a risk for the species, but only a follow-up. This amalgam between Appendix 2 and “endangered species” is a problem highlighted by the officials met. More pedagogy should be done for traders who make this mistake. Schedule 2 species must be traceable, legally traded and sustainably managed. The COP Cites are held every 3 years, the next one will take place in Colombo, in May 2019. The information must reach the Cites 120 days before the COP, to be educated. In parallel, an exchange was also held with the EU team in charge of Cites issues (Unit F3 Multilateral Environmental Cooperation) to know the proposals submitted by the EU at the next COP. Finally, a working group between ATIBT, UFIGA, IWPA and TTF takes shape to jointly address an interaction with Cites. The Forest Industry Commission is at the disposal of ATIBT members to answer questions about CITES.